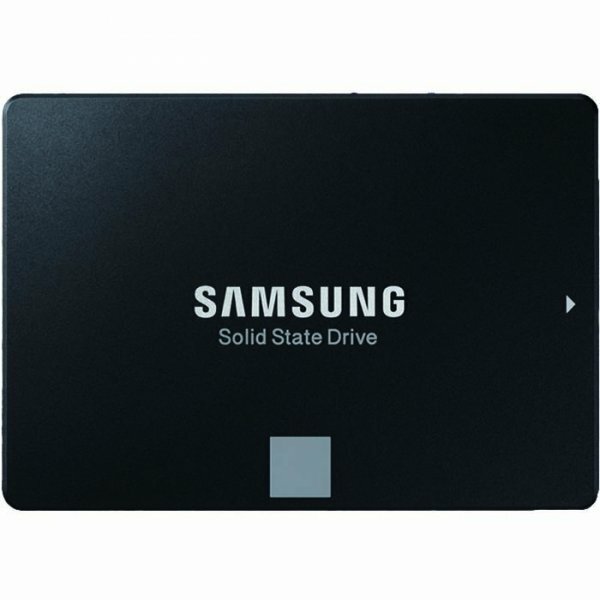 The Samsung 860 Evo 500GB 2.5" SSD (MZ-76E500BW) is a reliable, durable, fast-operating SSD that offers numerous high-tech features. These include TurboWrite technology, 3D V-NAND flash memory architecture, Rapid Mode data processing, advanced encryption and a Dynamic Thermal Guard. 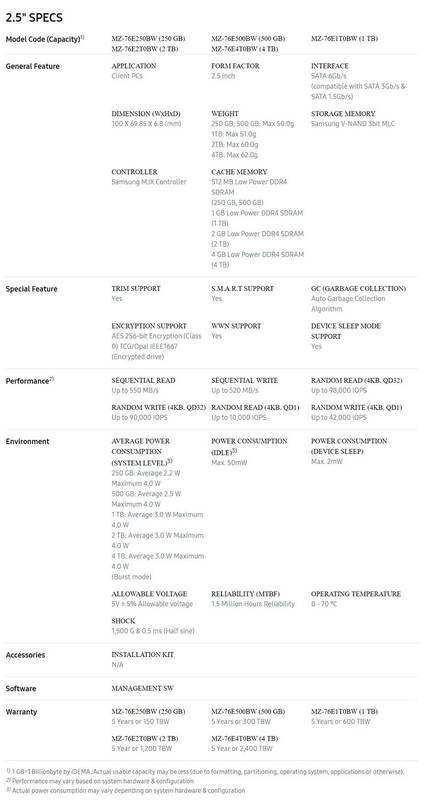 In addition, the Samsung 860 Evo 500GB 2.5" SSD is backed by a five-year limited warranty, for ultimate peace of mind. Fast performance One of the major advantages of the Samsung 860 Evo 500GB 2.5" SSD is its 3D V-NAND technology. This means that each SSD contains 32 layers of cells, stacked on top of one another, to maximise space. In addition, TurboWrite technology makes the Samsung 860 Evo 500GB 2.5" SSD up to 1.9 times faster than the 860 Evo when it comes to random writes. In fact, 4KB random writes (QD 32) can occur at a speed of up to 90,000 IOPS, and random reads of the same size up to 98,000 IOPS. Meanwhile, sequential writes can take place at a speed of up to 520 MB/s and sequential reads at a speed of up to 540 MB/s. Long-lasting and reliable In comparison with the previous generation, the Samsung 860 Evo 500GB 2.5" SSD offers double the TBW (Total Bytes Written) and 30% better performance overall. Moreover, 3D V-NAND technology increases its efficiency, by using half the amount of energy during writes that Planar 2D NAND uses, as well as allowing the Samsung 860 Evo 500GB 2.5" SSD to sleep at 2mW. The user can rest assured that all data is well-protected, thanks to 256-bit encryption security technology. Software The Samsung 860 Evo 500GB 2.5" SSD is managed by Samsung Magician. This software offers Rapid Mode, which allows 4GB of memory usage when the user implements 16GB of DRAM.